SUBSCRIPTION OFFER INCLUDES: • 12 ISSUES FOR $40.99! • 15% OFF THE COVER PRICE! • DELIVERY DIRECT TO YOUR MAILBOX! SUBSCRIPTION OFFER INCLUDES: • 12 ISSUES FOR $124.99! • 15% OFF THE COVER PRICE! • DELIVERY DIRECT TO YOUR MAILBOX! SUBSCRIPTION OFFER INCLUDES: • 12 ISSUES FOR $55.99! • 15% OFF THE COVER PRICE! • DELIVERY DIRECT TO YOUR MAILBOX! As Kiklinski escalates his one-man terrorist war against the FBI, Liz and Ressler race to save FBI Assistant Director Cooper’s life from a massive bomb attack. Meanwhile Raymond ‘Red’ Reddington discovers that behind the scenes may be a long-rumoured urban myth, called The Gambler, who is manipulating events for a group of super-rich gamblers to bet on. The brand-new original official comic series to the critically acclaimed NBC crime drama THE BLACKLIST, starring James Spader. 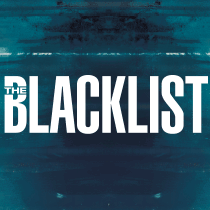 Written by script writer Nicole Phillips, The Blacklist Comic will chronicle the extended exploits of former government agent Raymond 'Red' Reddington, taking us back to the very origins of the series and revealing secrets about Red's past and how he formed relationships with some of the key characters from the show.